Answer delayed... "Why so... young?" (and I'm afraid next week will be similar--but more on that next week). So I'm going to answer this week's Challenge over the weekend when I'll have a bit more time. Hurrah! You have a couple of extra days to work on this! I suspect that before Dartmouth was formed, that area was a primeval forest. Barring devastating forest fires, it would have been a "mature" forest. I'm also looking for old maps and photo archives. For instance, compare these two images side-by-side. One is from 1887, while the other is from 2013 (and is as close to the location of that earlier sketch as I could guess: East Wheelock Street in Hanover, NH, not far from Darthmouth College). Remember that we're not looking JUST at elms (although the elm story is quite interesting), but at the entire range of forest trees. Looks like the place was pretty much deforested not that long ago. Does this suggestion help your search? Search Challenge (5/27/15): Why so... young? 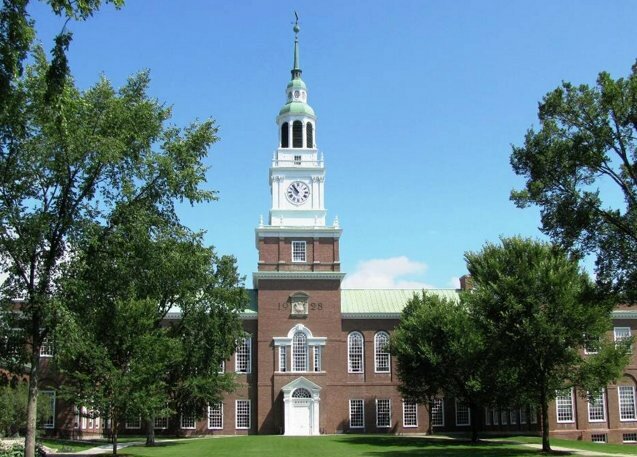 to visit Dartmouth College, that lovely old school in Hanover, New Hampshire. 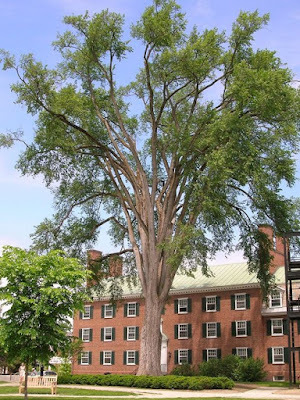 Nestled in the forests over the White River, just on the border with Vermont, it's a verdant, green campus with beautiful old buildings, a large grassy quadrangle, and a young, energetic student population. 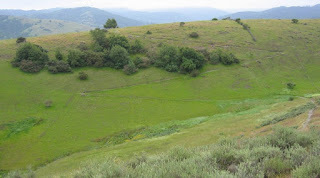 The region is very rural, with hills, large tracts of forest, and the occasional farm. As we drove around, one thing struck me: in the forests near Dartmouth, all of the trees are fairly small in diameter. In fact, the majority of them seem to be roughly the same size...and therefore (I surmise) roughly the same age. 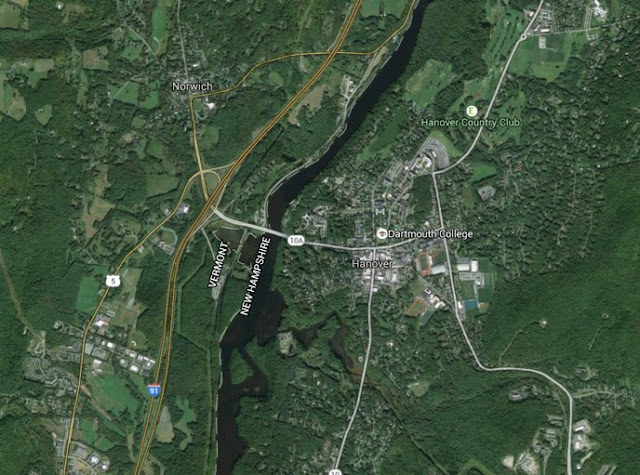 So after a while in New Hampshire, it dawned on me that there's not a lot of size variation among the trees there. And that's what led me to ask "why?" There are a few older trees on the Dartmouth campus--most famously, it has an impressive collection of American elms (that are large, old, beautiful, and carefully protected by the school). But what about just off-campus? What happened there? Answering this question might be a little tricky as it involves a somewhat undefined region (let's limit it to the region near Dartmouth). Even so, what will your resources be to answer this question? 1. What do you do when you need to learn about a topic area very quickly? I'm not asking as a way to avoid work, but it happens fairly often that I'm working on a deadline and need to learn something as efficiently as possible. In other words, how do you become an expert on the subject quickly, or least be able to find relevant information without getting lost in all of the possible documents? The conversation was actually pretty good, although it was scattered across Facebook comments, G+ comments, the thread of posts here in the blog, and a couple of hallway conversations! Let me try to pull some of those threads together and close with a thought of my own. framing is establishing the question(s) that you really want to answer, and setting up the context in which the answer makes sense. That is, a domain question like "teach me about the Civil War" needs a bit of framing in order to be sensible: Whose civil war? When and where was it fought? What do you want to know about that war? How much detail do you need? All of that kind of information sets the frame. 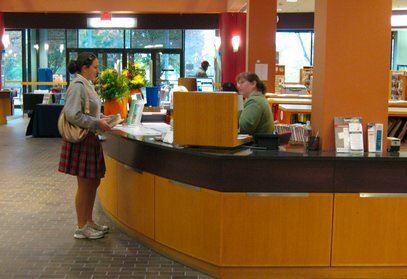 a library reference interview happens when you talk to your local reference librarian about what you want to learn. (Consider doing that as well--the librarians know a bunch of stuff that's really useful, including resources that might take you a while to discover.) 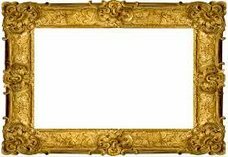 In the interview, you will frame your question and set expectations. You need to figure out in this discussion when you can stop. (You're on a deadline, remember? Assume you'll never learn enough to be a real expert--how do you get to a place where you can write a competent article in that area.) But if you can't get to a reference librarian easily, you can walk yourself through your own interview. In short, Know Thyself. I've taken the conversations I've had this week and organized them into Strategies and Tactics. "Once I had a student who was going to be interviewed for a job at a local transportation museum and had to find information on the trams in the 19th century and early part of the 20th century that were pulled by teams of horses. After searching several different ways, I found in Wikipedia that they are usually called horsecars and searching that one word led me to multiple sources of information, including the variations of "horse cars" and horse-cars." "Today, I decided to see if I could put a chin-up bar in my attic. What this came down to was determining if there was a thing that would attach a piece of piping to a piece of wood, perpendicularly. Of course, there is -- it's called a pipe flange, which you probably knew, and I applaud your greatness. My point is, as soon as I knew the word, I knew my answer -- yes, and it's going to take a flange or two...."
* Find out who are the relevant / best writers in the domain. And once you know that, find out what else they've written. Often, it will be on topic and relevant to your quest. * Find out the best institutions that work in the domain. Same idea, except you want to limit your searches to that particular place. For example, you might find that the team doing the best research is all in the Geophysics department at the University of Pocatello (fictitious example)..... then a site-limited search like [ site:upocatello.edu/geophysics ] might reveal a lot of things you never thought about. * Look for groups of people (blogs, forums, listservs, mailing lists) interested in your domain. In my previous post I mentioned a couple of tricks around finding blogs, forums, and people selling artifacts in your topic. * Describe your problem to someone else. Often, when you have to explain what it is you're trying to learn, you'll realize what the shapes and contours of the domain are... and what you really need to know, and what you really do not know! * Look for multiple different sources. For instance, Google Maps is great, but consider also looking at WikiMiniAtlas, or OpenStreetView. Likewise, different stories / different authors often give you varying perspectives on the ideas of the domain. Use that same strategy when doing a comparison across web sites, books, or journals. * Use your social networks. As I'm mentioned before, sometimes the best way into a field is to reach out to your friends, especially those that have broad-ranging interests or are really well-connected themselves. Often a post to Facebook or G+ (or your favorite community) can get you the right information very quickly. (In truth, this is why I lurk on a number of lists... just so I can learn from them and ask the occasional question.) Teachers sometimes talk about their PLN (Personal Learning Networks)--it's the same idea--developing and cultivating a group of people that you can ask questions of (and implicitly, also answer their questions too). * For scholarly/academic articles, check Google Scholar. A search on a domain in Scholar will often give you the latest and greatest academic work in an area. Often, it will be a bit TOO technical to be useful to you. (It happens to me all the time.) A recent example I did: [ coral reef bleaching] But you can use Scholar to identify the people and institutions that are doing the best work. Then you can search for those people and more broad-brush articles they might have written. * Check Wikipedia in other languages as well. Some topics have very different treatments across the various Wikipedias. Compare and contrast the entries for Leonardo da Vinci in English vs. Italian. That's variation, often useful. * Take notes. Several people mentioned that they start taking notes (usually in a Google Doc) whenever the search task starts to become non-trivial. This is obvious, but it's always surprising how often people don't think about this. A note doc is handy for stashing names of experts, domain specific terms that you don't know, and the names of institutions that are relevant. * Set your information level for what you really need and can really use. As Debbie and Anne point out, knowing what level of information you're looking for can be really useful. "...Our subscription [to Encyclopedia Brittanica] offers 3 different levels so students can choose a reading level that is more comfortable for them and is much more visually appealing. We don't have anything against Wikipedia but for some students the layout of Britannica is better." * Look for a QA site in the domain. Some domains (like math, programming, English, finance, bicycling, music, cognitive science, etc) have QA sites (question-answering) that are amazingly good. In particular, check out the StackExchange QA sites for a broadly based set of experts that can answer questions (or look for your question before you ask it out loud). Some of these sites are pretty junky, but the StackExchange sites are generally very good. This is a summary of all the conversations I've had this week (plus a few of my own thoughts). Keep writing, and I'll keep updating this list. Hope you found this useful! Now that I'm not traveling, I have the chance to do something I've wanted to do for a while, and that is the chance to have a conversation with you about some parts of YOUR SearchResearch talents. I'm guessing that if you're reading this, you're probably one of those people who likes to look things up--that is, you're a researcher by habit or training... at least you're a researcher by inclination! Photo courtesy of U. Huddersley (UK) and JISC. You might spend time in the library, or you might spend time reading old maps in the archives, perhaps you spend lots of time with Google. I have to admit, I'm asking you now partly because I have the time this week, but also because (full disclosure) I'm giving a talk on this in a couple of weeks at the Investigative Reporters and Editors conference in Philadelphia. But I'm always curious about how people organize their self-teaching / self-learning behaviors. As I've pointed out before (SRS post on "finding the date of a globe"), the internet is remarkable for any number of reasons, but one that I rely on to learn about a topic quickly is that for any topic, there is a special interest group. takes me to the Etsy shopping space for card catalogs, a Pintrest board for them, a nice blog post, and so on. you can easily find more Pintrest boards (including some remarkable tattoos of card catalogs! ), and--naturally--a blog post from the Library of Congress. and find even more blogs on the topic. Okay. That's one of my tips. Tell us one of yours!! Answer: Bike to work? How many? Remember that on Wednesday I asked you to guess (without looking!) what fraction of people who commute to work actually ride their bike to work more than half of the time? Not your usual bicycle commuters. 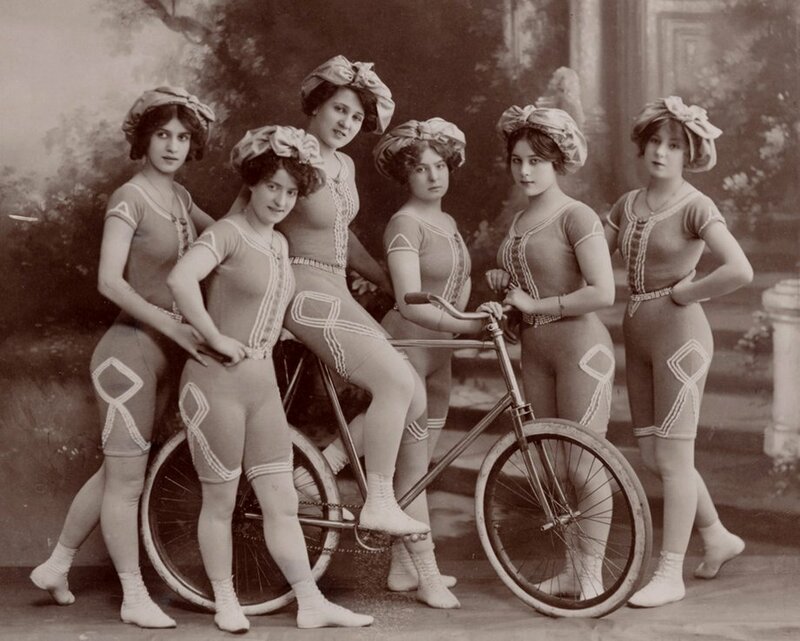 The Kaufmann Troupe of "trick cyclists" in the 19th century. 1. In the whole of the US, what fraction of people ride their bikes to work at least half of the time? 2. In your state or province, how do the commute modes (car vs. public transit vs. bike vs. walk) break down? Can you tell us your local transportation modes use? When I started thinking about this, I started trying to imagine what organization would be interested and collect this kind of data. which took me to the BikeLeague's website and their bike transportation data (from 2013). But I also found the Census.gov data from 2008-20014, which was the source for the Bike League's analysis as well. That seems like pretty reliable data, what's their number? 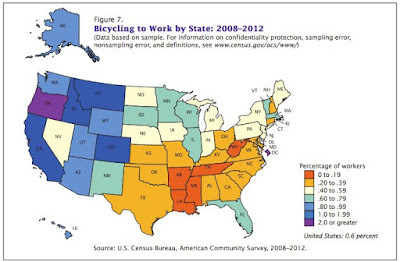 Unsurprisingly, the southeast doesn't have many bike commuters, while the west coast, Idaho, Montana, New York, and Colorado all have lots of bicyclists. As you can see from this chart, the 2008-2012 data comes from the "American Community Survey," so I thought I should spot check the data, and maybe get more up-to-date values. The obvious search [ American Community Survey ] brings me to their site, which has a nice Advanced Search feature which allows me to check the 2013 data for California. From this chart, I'd expect something between 1% and 2%. 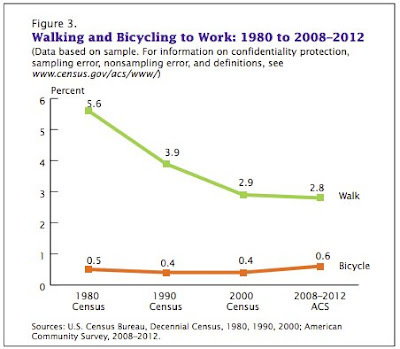 Sure enough: when you check the data table at ACS for California, you find that 1.4% of men and 0.6% of women bicycle to work (for a 1.1% overall rate). That's lower than I'd like, but it's in the range shown in the above chart. So now we know what the Census people have measured, and that the latest ACS data agrees with their numbers as well. But we should check these findings. Question is, could I find some OTHER source of information? Who else would do this kind of data collection? This is an important point because many of the news articles you read all repeat the same data from the same few sources. We need to get a fact check here, hopefully from a different source with a different survey method. By going farther down the results page for the previous query, I found a few reports that use different methods and sources. That paper says, "Estimates of the number of bicycle commuters in the United States range from 0.5 to 2.8 million or approximately 0.4 to 2.3 percent of the total number of commuters. (2,3) These numbers are derived from census data and information contained in the Nationwide Personal Transportation Study (NPTS)." Those citations (2,3) are from surveys conducted by the Bureau of Transportation in 1990, so they're consistent with the charts above. 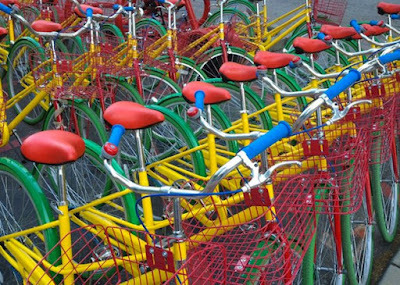 Google bikes lined up waiting for riders. The point is that we have two different data sources (with different data collection methods) that agree on the bike-commuting rate for 1990. 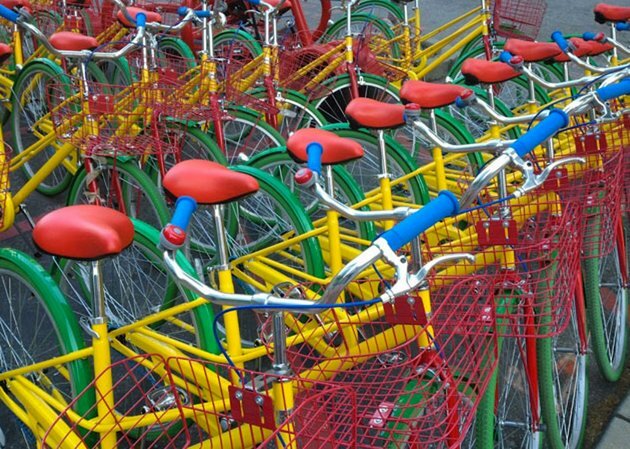 Search Lessons: Here, the search itself wasn't difficult, other than to use the keywords "bicycle" OR "bike, and "transportation" and "data" to pickup the documents that actually have the data you seek. But as you see, it's always a good strategy to second-source your findings. In this case, I looked for a DIFFERENT source (the Census vs. the Bureau of Transportation) using a somewhat different sampling method. And as you saw, the results were pretty much exactly the same... which give me confidence that these two methods are measuring the same thing. 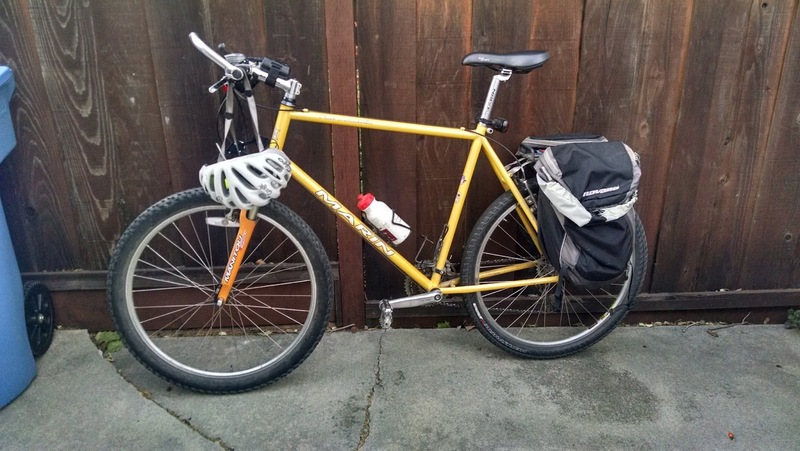 Search Challenge (5/13/15): Bike to work? How many? it occurs to me that it might be useful to know how many people actually DO bike to work. Any ideas? Before you go any farther in this Challenge--make a guess and write it down: What fraction of people who commute to work actually ride their bike to work more than half of the time? Getting to work is a big part of many people's day. For me, I usually start work at home in the early morning (which is when I write my blog posts), and then commute to the Googleplex. I often ride my bike, although not as often as I'd like, usually because I have to carry a bunch of stuff or be someplace distant late in the day. Still, I always think of riding my bike to work as a small but noble thing to do. Since my work is only 5 km from my house, it's usually a really nice ride. Can you find definitive data on this? I'll tell you what I find on Friday. Be sure to let us know HOW you found your data, and what percent of your local population (in your city, state, or province) ride their bikes to get to work! Search (in a bicycling way) on! Answer: Victorians and palms trees? A thing? 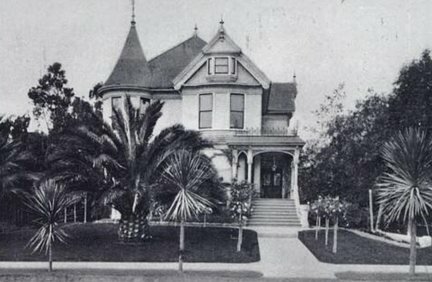 When walking by some Victorian homes with extravagantly tall palm trees, I began to wonder why they'd plant such trees. I think they're beautiful (but then, I grew up in LA where every street has a palm or two), but they're also very odd. 1. What was it with the Victorians and palm trees? Why were so many planted near their houses? What was their thing about palms? Obviously, this is an open-ended question that might not have a crisp answer. But this is a nice example of a question that isn't easily amenable to a simple search. You actually have to root around a little bit to understand what's going on here. Why such an interest? Was it symbolic? Was it practical? Was it an ostentatious display of wealth? And did the Victorians do this everywhere? Or just in California? As we discussed yesterday, this also might be a problem that requires some thinking about the vocabulary. How would you describe this Challenge to someone else? I discovered that there are palm trees in Vancouver, BC, (there's even a Pacific Northwest Palm and Exotic Plant Society). 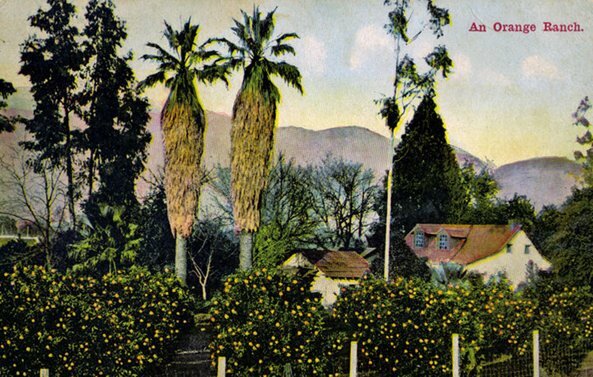 But I also found the book Trees in Paradise: A California History, which includes a fascinating section on the Victorian history of palm trees, and how they came to be symbolic in Victorian landscape architecture. In the Victorian era, palms were exotic and symbolic--certainly symbolic of far-away lands, but also of wealth and means. If you lived in a temperate climate (as is much of California), you didn't need a greenhouse, but could plant a palm or two outside your front doorway. I kept looking at these results, but I wasn't getting too many more decent hits. Why "Victorian landscape"? Because I realized that "landscape architecture" and "landscape design" is a viable topic descriptor. Keep in mind that when constructing your query, you want to tap into the language that others will use. Interestingly enough, in tropical and subtropical countries the available plant material is also the result of English Victorian garden activity. The Industrial revolution, with its opportunities to build glasshouses together with the enthusiasm of colonial botanists, explorers and commercial plant hunters, resulted in the creation of the core of favorite tropical and subtropical plants, which were first collected and displayed in Kew Botanic Gardens (the Palm House). 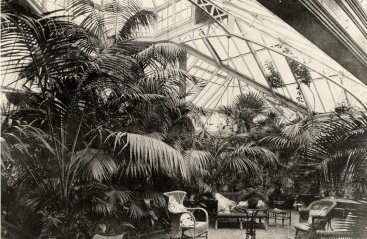 British glasshouses were responsible for creating the Western image of a modern “tropical paradise”. The process of choosing the most “appropriate” beautiful and unusual tropical and subtropical plants in greenhouses started in Victorian England and ended in the crystallisation of the Western image of “tropical Eden” based on exotic plants from all over the world. This search proved pretty productive... From another source I learned that the Victorian Palm Court is the central focus of the Phipps Conservatory (Pittsburgh, PA). The Palm Court covers over 7,000 square feet and rises over 65 feet high, with palm trees that were planted in the heady Victorian days of 1893. The list of associations between Victorian buildings and palm trees goes on and on. By this point, I'm starting to get the message: The Victorians were palm-crazy, and the association between palm trees as a aspirational and inspirational status symbol seems pretty clear. Was it only in California? Probably not (see above--Kew Gardens, Vienna, etc). 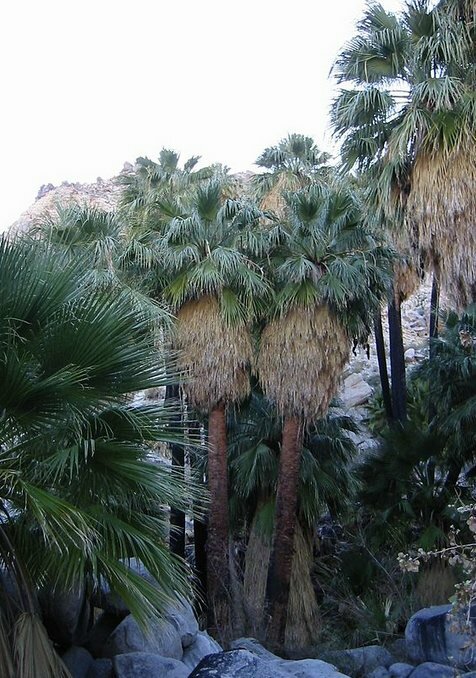 But it was certainly easy to grow palms in California, partly because the climate was so amenable, but partly because it's easy to get seeds and/or small palms. There are varieties that are endemic to California, for heavens sake! Native California palms, Washingtonia filifera. Search Lessons: Once you get how to do this search, the results pour in. 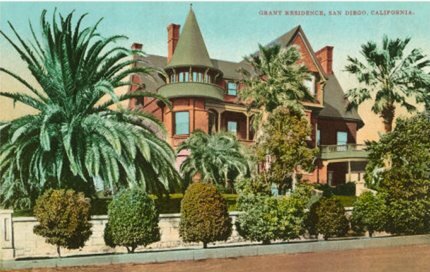 If you read the comments from our trusty Regular Readers, there are lots of associations between Victorian houses and palms. Mostly, the working queries include "Victorian" and "architecture" or "homes." This wasn't a difficult search, but the answers aren't just easily available. You actually have to read a bit. You just have to read a bit. And that's the secret for this week. Read. I think you'll agree--reading this stuff was great fun. Victorians! Palms! Dreams of the tropics! P.S. Sorry about the delay in writing up the answer for last week. I've been traveling. (Surprise!) I'll tell you about it tomorrow. 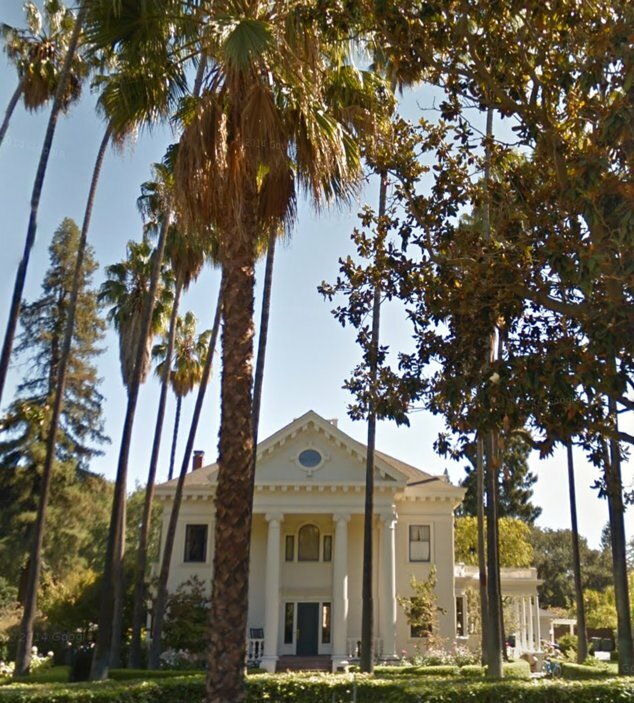 Search Challenge (5/6/15): Victorians and palms trees? A thing? I'm struck by how many palm trees were planted in the Victorian age. 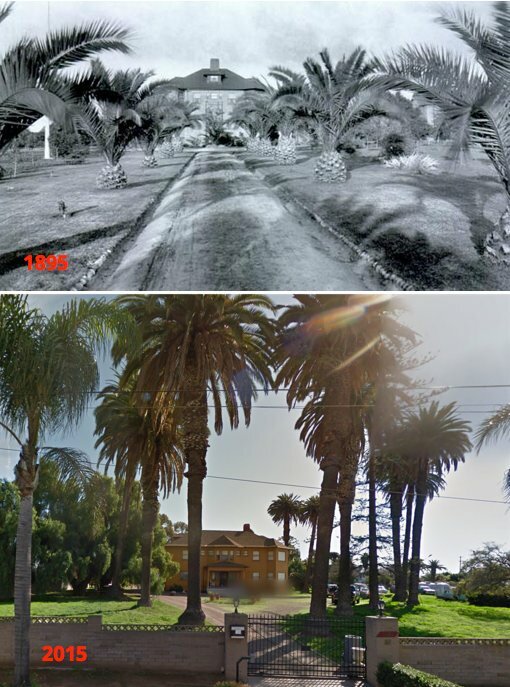 Many Victorian houses seem to have very mature palm trees planted at the entryway or directly in front of the house. When I go on my runs through the hills above LA or at home in the hills near San Francisco, it's not uncommon for me to find one (or commonly, a pair) of palm trees growing in what seems to be the middle of the forest. It's always a bit of a shock to find a palm so obviously out of place. But if you poke around a bit, you can almost always find a nearby foundation--the trace of a family that once lived in this place, house and home swallowed up by time, but the palms remain. And then a bit more, becoming a giant fence of slender poles. Let us know how you solved the problem: What worked? What didn't work? How did you discover that valuable resource that cracked the problem for you? Sometimes a challenge is more about a concept than it is about specific words. Dr. Dan says that "your recollection may be how you remembered it but not necessarily written in that context." As you said this is a good intro to a reference interview. It makes sense that using this concept we can find elsewhere a reference to card catalogue locations affecting people’s search efforts. But the problem is more than just the specific words--it's all of the other words I'd like to be using in my search. Maybe we need a “Super Control F.” That is, the ability to have multiple words (including unrelated) or even possibly vague words in the search that can be interpreted in the search box. If we had a Google Search Box within the document we would have more tools like I’ve already mentioned or more. Another thought is to have a way to draw out a keyword list out of a document. Nowadays we have keywords/tags for documents often attached. But historically they often don’t exist especially for journals/papers. Perhaps there are some tools that now exist. This challenge got me thinking about how I do things? Perhaps there are better ways. Can Google Search help us search within a document? Another lesson for me is the use "references". Each time I looked/scanned at a document I would then scan the references at the end the article/book/paper. With title and author we possibly had a lead but with this particular challenge, vague keywords made this more difficult. I wonder how can we make the most out of these possible leads besides scanning each one. There are many great questions in here, but let me make a couple of comments. 1. Searching for a concept and choosing keywords that can find it. Rosemary points out that the Principle of Least Effort is somewhat difficult to find, given the words needed to get to it. This is known as the Vocabulary Problem (or the vocabulary mismatch problem). It's been studied since at least 1981, when my buddy George Furnas first wrote about it. The basic problem is that on average 80% of the times different people (even experts in the same field) will name the same concept with different words. There are usually tens of possible names that can be attributed to the same thing. In our case, we don't know what the concept is that we're looking for--so how do we begin a reasonable search for it? I suspect that this is one of those gumption problems--you just have to keep searching for the concept. On the other hand, there is an intuition for a concept that good searchers need to develop. That is, you have to have the sense that such a concept (such as least effort) would exist, and that you can find it. How do we develop such an intuition? I really don't know. But I suspect that reading widely will lay the foundation for such intuitions. 2. Your memory is terrible. As we've discussed, you might think your memory is great, but the truth is, your memory is fallible in many ways. In particular I remember may/may-not be the way I wrote it in my notes, or the way it appears in reality. (This was the point of the post about "Can you find the reference for...") My recollection was different in many ways from the reality. Being a great searcher means knowing how to back off from "things you know are in the target." I remember something as having "3 levels" of abstraction--but the reality is that it's 4. I might remember my friend Grace as having sent me a particular email message, when in reality it was Bob (he's a co-worker of Grace, hence the mistake). As you search, in particular when you get stuck--try backing away from the things you're sure about. Look for reasonable alternatives (different names, different dates, different places), and see if that doesn't help. 3. Super-control-F function. Rosemary wants to be able to search for multiple things at a time. Turns out that there are extensions for Chrome and Firefox that allow you to search for regular expressions. A regular expression is basically a pattern that matches pieces of text in the document. For instance, using a regular expression like [Apple | Facebook | Google] I can search for all three of those company names at the same time. If you're using one of the regular expression plug-ins, this is exactly a "super-control" F function. 6. Using references at end of the a document. Is there any better method of scanning them rather than just scanning them? Alas, I don't know of anything better than taking good notes. If you find one, though, let me know! In the meantime, Search On!